Drug companies are deliberately keeping the public—and the medical community—in the dark about “unfavorable” clinical trials. Action Alert! 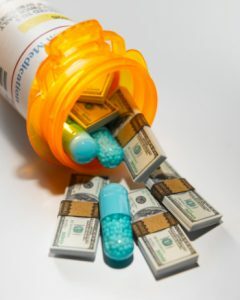 The RECORD trial (see our article in this issue) is just one example of how drug study data can be manipulated by pharmaceutical companies and the FDA. But it gets worse—even if a study finds a drug isn’t very safe or effective, it’s likely you and your doctor will never hear about it. The problem—called publication bias—is widespread. About half of all drug trials aren’t made publicly available, and positive findings are twice as likely to be published as negative findings for the same drug. Since doctors can access only a small portion of the full scientific picture, they are led to believe that drugs are much safer or more effective than they actually are. This results in a huge gap between what the FDA knows about drugs and what prescribing doctors know. For example, one independent study looked at all drug trials submitted to the FDA for twelve antidepressants. Thirty-eight of the trials showed positive results, while thirty-six showed negative results. Yet thirty-seven of the positive results were published in peer-reviewed journals, while only three of the negative studies were! Any doctor looking at the published studies would be led to believe that antidepressants were overwhelmingly effective. This is especially troubling considering the many negative effects of antidepressants—including suicidal behavior, and evidence of violent behavior against others. Other manufacturers suppress drug trial information as well. A congressional investigation into the cholesterol drug Vytorin revealed that its manufacturer, Schering-Plough, deliberately hid results showing that the drug didn’t improve artery health, and continued to market Vytorin heavily. A trial on Multaq, a drug that treated irregular heartbeat, was stopped because more patients who received the drug were dying than those who received a placebo—yet this incredibly important study was not published until five years later! Even if you don’t rely on patented medicines, this widespread deception costs you a great deal of money. Look, for instance, at Tamiflu, an antiviral influenza drug. The Cochrane Collaboration, which reviews drug trials, attempted to collect all data, both published and unpublished, from all Tamiflu trials. The results of the negative trials simply weren’t publicly available. When they started obtaining the trial write-ups via the Freedom of Information Act, the true effectiveness of the drug became murky. Tamiflu appears to be no more effective than aspirin—yet it has been stockpiled by governments around the world. The UK had contracts for over 50 million doses of Tamiflu—enough for 80% of the population—and the US has stockpiled over 37 million doses, costing taxpayers $1.5 billion. In many cases, drug studies are retracted after they are published. Researchers found that nearly 75% of retracted drug studies were pulled because of scientific misconduct such as data falsification or fabrication, questionable veracity, unethical author conduct, or plagiarism. And such scientific fraud is on the rise: according to the most recent data, the number of scientific retractions is fifteen times higher than in 2001. Last fall, the Senate Finance Committee slammed medical device manufacturer Medtronic for ghostwriting entire studies to support its Infuse bone graft system, and for getting other authors to take credit for the research to give the appearance of impartiality. When a new drug seeks FDA approval, FDA requires drug manufacturers to submit basic results of all the clinical trials they sponsor. Companies can sponsor as many trials as they like, many of which can have negative results—which the public almost never sees. But so long as two of the trials show that the drug is effective, the drug is usually approved! Even worse, this requirement only applies to drugs approved after 2007. Most drugs currently on the market were approved before 2007. Action Alert! Write to your senators and representative and ask them for new legislation to require that all drug trials submitted to the FDA be publicly available—not only for new drugs, but for all drugs currently on the market. There is no reason a government agency should keep secret information that could affect the health of its citizens. Send your message today!